Starting today, Monday, May 28, 9Now will feature memorable moments, clips from the archives and highlights from last year’s series in the build up to Origin I on Wednesday, June 6, at the MCG. All three games will be available anywhere, anytime on 9Now, with five streams: the Main program, Tryline Cam, Spider Cam, NSW Player Cam and QLD Player Cam. TRYLINE CAM: A unique end of view switched between each in-goal that will give you the perfect view of every scoring play. SPIDER CAM: An elevated bird’s eye view of all the big moments. NSW PLAYER CAM: An uninterrupted view of the key Blues players. QLD PLAYER CAM: An uninterrupted view of the key Maroons players. Nine’s Head of Rugby League, Simon Fordham, said: “Nine’s exclusively LIVE and FREE rights to State of Origin are the jewel in the crown for Wide World of Sports. In addition to the main broadcast on Nine, we have exclusive LIVE and FREE streaming rights on 9Now, not to mention clips and highlights on WWOS.com.au to give fans the best access and analysis available. “We are all about creating the best seat in the house and this year with Origin it is going to be better than ever. Head to 9Now.com.au or download the app via the App Store or Google Play. 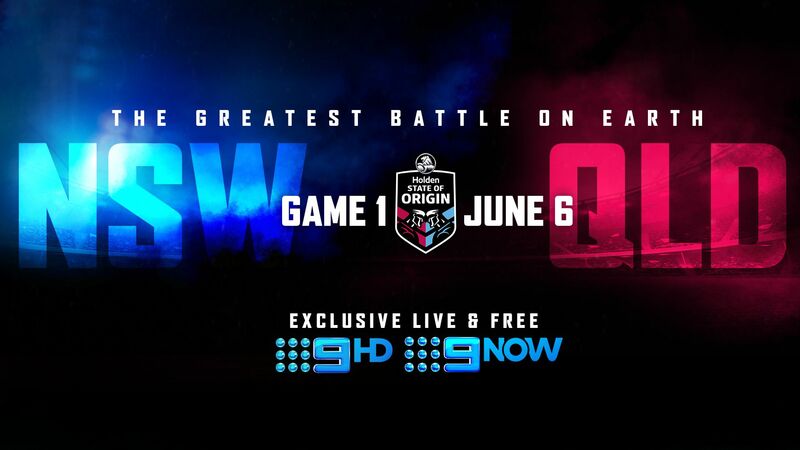 Coverage for Origin I will be exclusively LIVE and FREE from 7.00pm AEST across the nation on June 6 when the XXXX Queensland Maroons and Brydens Lawyers NSW Blues battle it out at the MCG.